People grow very attached to names, especially when they are almost 50 years old. But, after much study and conversation and input, we did it. 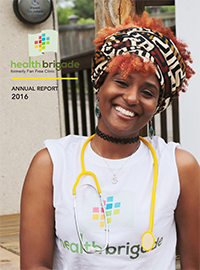 We changed our name this year from Fan Free Clinic to Health Brigade. The need was clear. We hadn’t been located in the Fan area of Richmond since 1997. In a time of rapid health care changes, we can’t guarantee entirely “free” services into our future if we are to remain sustainable. And, most importantly, we have always been more than a Medical Clinic. Our Health Outreach team touches hundreds of lives when visiting neighborhoods, gathering places, centers and prisons. Our Mental Health Program spans across short-term sessions in the medical clinic to more comprehensive community-based mental health services–including psychiatry, individual therapy and psycho-social groups. Over $50,000 of professional research, strategy and art development for our new name and logo was donated to us through the generous and creative hearts of EAB Research, ideaspring and ndp. 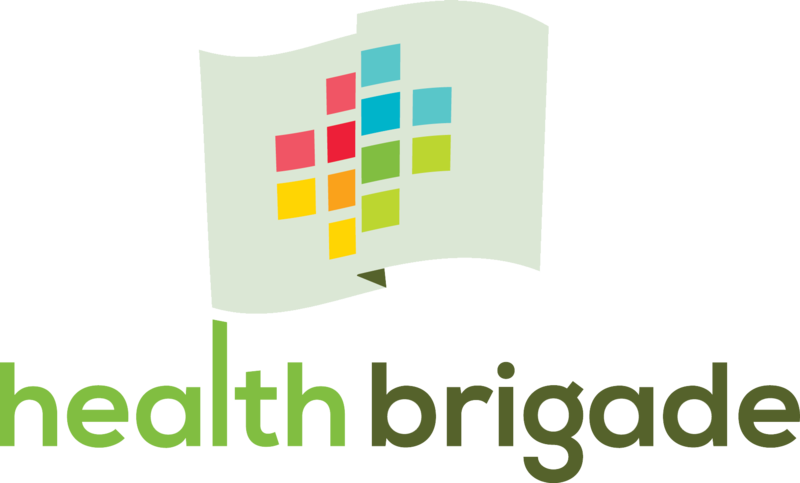 When all was said and done and presented, it seemed our name conveyed two thoughts: 1) “Health” is what we do, and 2) “Brigade” is how we do it. Think Bucket Brigade–a human chain working together for the common good, circling back around to refill and keep the formation going. We hope this annual report will be a glimpse of how our year was, as we took our first steps to grow into our new identity.